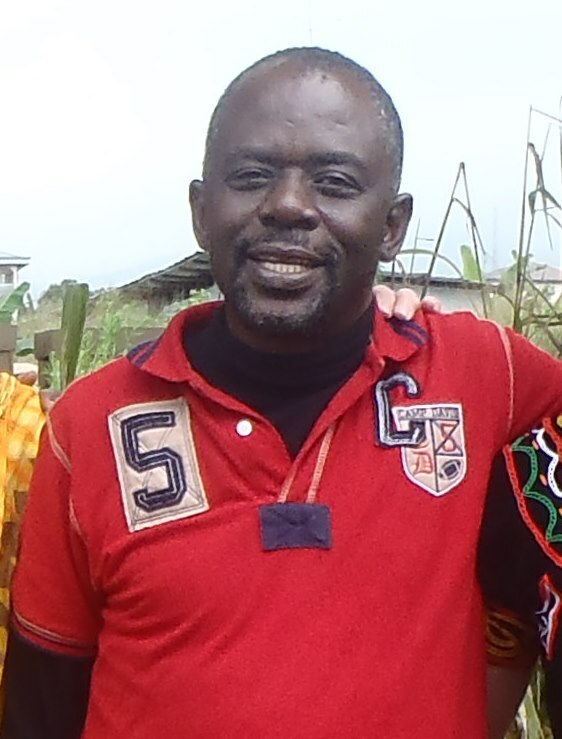 Henry Kam Kah is a senior lecturer of History at the University of Buea, Cameroon. He studied History at the University of Buea from 1993 and obtained a B.A. and M.A. in 1996 and 1998 respectively. He was recruited to teach History at the University of Buea in the 1999/2000 academic year and has been teaching since then. Dr. Kah obtained a Ph.D in History at the University of Buea and among his most recent publications are; “The Bakassi Crisis: The Role of the Nigerian and Cameroonian Military, 1981-2013.” Conflict Studies Quarterly 6 (2014): 3-22; ““Our Gowns for Your Trousers:” Sexuality and Women Revolt in Colonial Laimbwe Land, Cameroon.” Epasa Moto: A Multidisciplinary Journal of Arts, Letters and the Humanities of the University of Buea New Series 1, 2 (2014): 103-22; “History, External Influence and Political Volatility in the Central African Republic (CAR).” Journal for the Advancement of Developing Economies 3, 1 (2014): 22- 36. Seine Dissertation „The Sacred Forest. Gender and Matriliny in Laimbwe History (Cameroon)“ befindet sich zur Zeit in Druck und erscheint Anfang 2015. Diese Publikation stellt die Zweite der Reihe “ Narrating (Hi)stories. Kultur und Geschichte in Afrika. Culture and History in Africa.“ (Bea Lundt/ Yaw Ofosu-Kusi Hg.) dar. Walter Gam Nkwi holds a PhD in Social History/ Social Anthropology from the Universiteit Leiden, The Netherlands. He is teaching Social and Labour History at the Department of History, University of Buea, Cameroon. He read African and Cameroon history at the undergraduate and Post Graduate Levels at the University of Buea. Dr. Nkwi has a passion for social, indigenous conflict management, pre-cultural history and global labour historical issues of Africa. He was a Visiting Research Fellow at the International Institute of Social History (IISH), Amsterdam from 1st September 2012 to 31st January 2013. Within this time Dr. Nkwi was opportune to visit the Institute of Conflict Studies, Babes-Bolyai University, Romania, where he lectured the Post Graduate students on pre-colonial mechanisms of conflict resolution in the Bamenda Grassfields of Northwest Cameroon, a lecture which was further published in the Conflict Studies Quartderly. In January 2015 Dr. Nkwi was made the Faculty Officer of Engineering and Technology, University of Buea, Cameroon. He has published widely both in Cameroon and abroad in book chapters and peer review journals. His latest publications are: Kfaang and its Technologies: Towards a Social History of Mobility in Kom, Cameroon (2011) Sons and daughters of the Soil: Land and Boundary Conflicts in the Bamenda Grassfields of Cameroon, 1955-2005(2011); Voicing the Voiceless: Contributions To Filling Gaps in Cameroon History, 1958-2009 (2010). University Crisis and Student Protests in Africa: The 2005-2006 University Students Strike in Cameroon (2012); African Modernities and Mobilities: An ethnographic history of Kom, Cameroon, c. 1800-2008 (2015).